It’s only been three years since Beach House last released an album, but music changes so quickly that it seems like the Baltimore duo had been gone for ages. At any rate, Victoria Legrand and Alex Scally are back now with their fifth full-length album, a collection of nine songs that are more intimate than the music on their past few records. 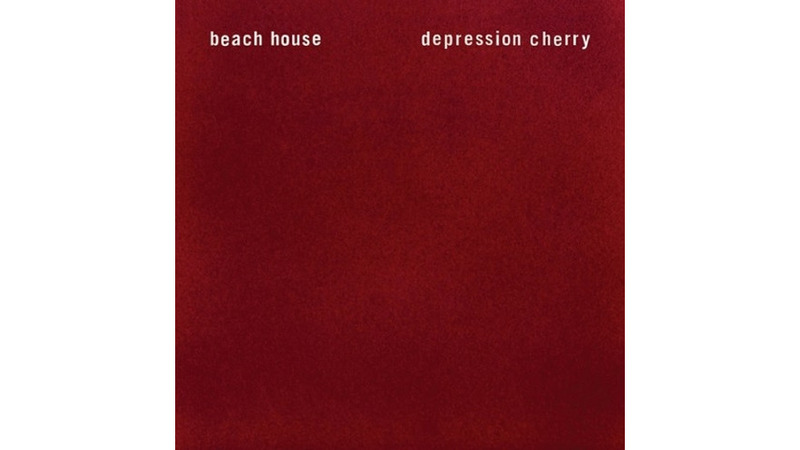 That’s not coincidence: as Beach House grew into bigger stages and played for larger crowds, the duo’s sound expanded, too, and the somewhat more streamlined aesthetic of Depression Cherry is their reaction. The songs are still plenty lush, wrapping Legrand’s sleepy voice in gauzy synthesizer drifts adorned here and there with languorous stabs of guitar. What’s different here is the relative simplicity: instead of layer upon layer of instrumentation, Legrand and Scally leave more space in their arrangements. The difference is mostly subtle, but clearing away some of the sonic underbrush helps emphasize the essential elements of their songs and the elegance of their music. Legrande’s voice floats over gently pulsing accompaniment and a tap-tapping electronic rhythm on opener “Levitation,” and she sings in distant, breathy tones punctuated with a whining guitar that surges and recedes. A huge cyclone of guitar spins through the start of “Sparks,” fading into synths that frame Legrand’s sweet voice with crackles of static, while “Days of Candy” closes the album with an aching lament that stretches past six minutes. Legrand sighs through a wispy melody that evokes a classic Judy Garland-esque torch song, and an array of synthesizers spin around her voice in tight concentric circles.